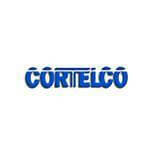 Technologically advanced and updated products have become a necessity of today’s modern world. You need these newly engineered modern electronic devices not only to enjoy the perks but to keep your steps and pace with the changing trends. SupraPlus series are introduced with incremented features that help you in getting maximum voice quality. The devices presented in these series include Plantronics H251N SupraPlus NC Headset, and Plantronics HW251N SupraPlus Wideband Headset etc. 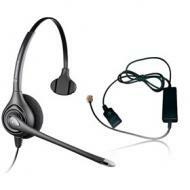 The headsets are ideal for office based professionals who work at call centers and other similar stations. Plantronics HW251N SupraPlus Wideband Headset is studded with superb features including perfect sound quality, optimum mobility, and comfort. The adjustable mics are perfect for professionals and the lightweight over the head design makes you feel at ease. SupraPlus series comes with 30 days money back guarantee to let you check the features yourself. Once you will use the device, you will acknowledge all the comforting features of the headset. 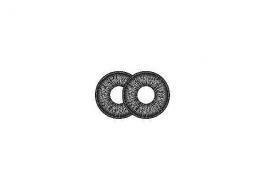 Plantronics was established in 1954, the company has gained experience and expertise of 53 years in the field. It is well aware of the changing preferences of the customers, therefore, the new designs are more innovative to match your priorities. 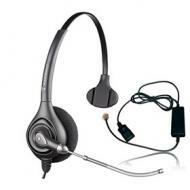 So you can grab your headset to be able to carry out the quality conversation at your workplace. Quick connectivity, noise reduction, and incessant conversations will aid you in maintaining high sales rate. The Plantronics SupraPlus HW251 Corded Headset with A10 Adapter delivers the highest level of audio performance even in noisy environments. The Plantronics Supraplus HW251 helps overcome the challenges stood by traditional technology, delivering sharp speech clarity and life-like reliability. Users will experience greater satisfaction through enhanced fluency and reduced miscommunication. The Plantronics A10 Adapter direct connects cable easily connects a Plantronics H-series headset to most headset-ready phones via the headset port with the A10 cable that is included with the Plantronics HW251. Noise-cancelling microphone filters out excessive background sound to further increase call clarity. The Plantronics SupraPlus HW251N Corded Headset with A10 Adapter gives the excellent level of audio play even in noisy environments. But, the HW251N helps overcome the challenges posed by traditional technology, delivering sharp speech clarity and life-like reliability. Users will practice greater satisfaction through enhanced fluency and reduced miscommunication. The Plantronics A10-16 direct connect cable easily connects a Plantronics H-series headset. The HW251N headset gives you an adjustable headband, soft foam ear cushion and an adjustable microphone enabling you to get an ideal fit for all-day wearing comfort. To help you with the powerful audio quality, you must decide for Plantronics SupraPlus HW261 Corded Headset with A10 Adapter. 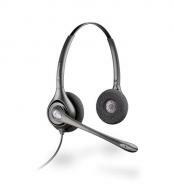 The headset is built with extraordinary features including noise reducing quality. This very characteristic functions in cutting off all the background noises that hinder you in carrying out clear conversation. The binaural headset is your lifetime support system and is the realistic manifestation of the perks of electronic engineering. Once you have invested your little sum of money in buying the headset, you will enjoy the advantages during usage. 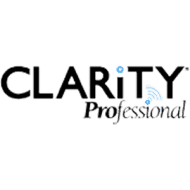 Heightened intelligibility and voice quality will calm your perplexed nerves. 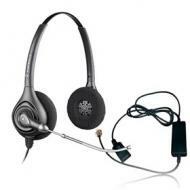 The headset is a treat for you even during your working hours because it is comfortable and extremely convenient to wear.